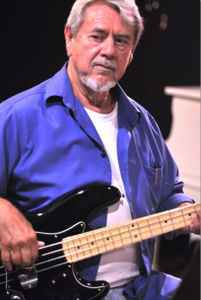 American bass guitar player, known for his work as a session musician, and songwriter. Born 28 August 1937 in Mound, Madison Parish, Louisiana, USA. - Died 14 December 2018 in Greenwood, Louisiana, USA. He has also penned Rock 'n' Roll songs (often with the brothers Johnny & Dorsey Burnette).